This post is intended to cover the server costs for SteemWorld.org and to enable me to continue my development in the future. Dieser Post ist dafür gedacht die Serverkosten für SteemWorld.org zu decken und mir in Zukunft weitere Entwicklungen zu ermöglichen. The past week proceeded not exactly as I had planned before and I ended up with optimizing the implemented data caching methods for all clients on SteemWorld. Don't ask me how I got there, but I'm glad to announce that users now can open as many accounts as desired simultaneously without longer increasing the server load on my main data server. As some of you might know, I don't make all required Steem RPC requests from each client to the connected nodes directly. I solved it in a way so that my server does the requests once a minute and stores the request results in a 'requests' table. The client (your browser) just sends a get_status request to my API once every 30 seconds and receives all data like new mentions, new followers and the cached Steem requests with only one request. That takes much load from the public Steem RPC nodes, but of course, it increases the load on my side a bit, therefore I needed to make a few changes to the existing logic. The example above would return all new mentions since the in field last_mention defined unix timestamp, all new followers since the in last_follow defined timestamp and all in the field ids defined cached requests (in this case GET_DYNAMIC_GLOBAL_PROPERTIES, GET_CURRENT_MEDIAN_HISTORY_PRICE and GET_TICKER). After receiving the cached requests the client stores them in the browser's local storage, so that all other simultaneously opened SteemWorld tabs can share the same result and each of them knows about what is being required for the next get_status call. The good thing about using such a caching method is that it decreases the server load significantly and also the clients benefit from using more locally cached data, because they do not need to load blindly all data via internet connection each time. If you should encounter any issues when loading the site, please let me know and I will adapt the (now very strict) CSP settings. I say this, because when using Firefox there appear two logs in the Developer Console stating 'The page’s settings blocked the loading of a resource at eval/inline (“script-src”)', which don't make sense on my site (might just be a FF bug, but I will try to find out more about it in the coming days). I wish you all a wonderful week! EN | What is SteemWorld? DE | Was ist SteemWorld? Positive thoughts create a positive world. It all begins with connecting our thoughts with emotions. What we focus on is what becomes powerful. We are the creators of our world. Vielen Dank für deine tollen Verbesserungen. Thank you for your latest report on all you are doing on our behalf @steemchiller. "Building the Post Editor (yes, it can be used to create new posts and comments too) is still my main mission on a daily basis." "Enables each of us to analyze and work with the Steem blockchain data in a simple and very efficient way (SQL and custom queries can be used too)"
... of SDS is on your "roadmap" for future deployment. Beyond just Steem activities @steemchiller, wondering about your overall welfare in general and more specifically, where you might be in your deliberations about maybe moving to another place. Are you still actively considering that possibility? That's a good question. I took much of my time for developing SDS in the past months and it's nearly finished or let's say 'ready to be tested/used'. Hopefully I can give it the final touch in about a month or so. As crypto prices keep being suppressed (held on the same price levels for weeks by trading bots, which creates the illusion that we have an infinite amount of sellers, mirrored order books tell us the truth), I needed to change priorities again. Offering a post editor, profile and feeds like on Steemit will bring me enough beneficiary rewards to be able to complete my planned roadmap in a more 'healthy' way. Are you still actively considering that possibility? "As crypto prices keep being suppressed (held on the same price levels for weeks by trading bots, which creates the illusion that we have an infinite amount of sellers, mirrored order books tell us the truth), I needed to change priorities again." "... so my decision to leave the country didn't change and it will not. ... One thing I already can tell is that a sun exists in the place we are heading to :)"
Well, obviously one of the big "Ys in the road of life" decisions has been made and you are resolutely working to see it through. It will be very interesting to "hear" about your chosen new home, once you have decided to reveal it. I genuinely wish you well and glad to "know" one of of the truly "good guys" here on our Steem blockchain. Thanks for all you do for all of us. I hope you will enjoy many happy returns some day for all of your hard work. Until we "meet" again, all the best to you and yours for an even better tomorrow! I want something where I can create a Steem payment button in 5 minutes just filling in fields in a form and a payment button is generated, with a piece of code that I can just paste into any salespage. I'm still busy with the upcoming post builder. After that I've planned to complete and implement the new SDS on my server. I guess, it will take at least two months from now until I find time for such a payment button, but I like the idea and someone should really take action regarding to developing something like that. You will have my vote 🗳 & support. Thank you for all that you do for our $STEEM. p.s: You should advertise it!!! Hab dich auch in unserer FB Gruppe als pinned Post gemacht. As always thank you for your hard work. 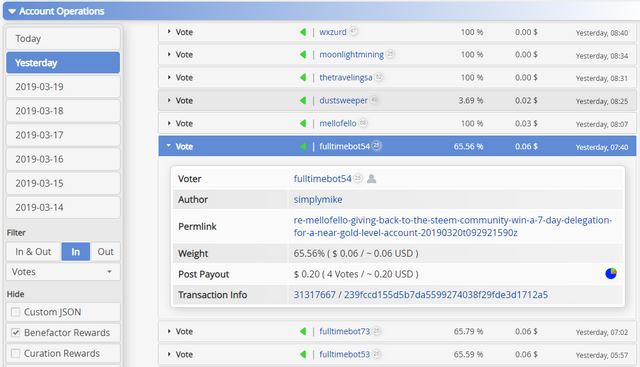 My STEEM experience would not be the same without SteemWorld. Why does my vote display as 20 cents when it should be 3 cents? Looks like it's related to a bug on Steemit. The total payout amount seems to be correct, but the other voters are missing. 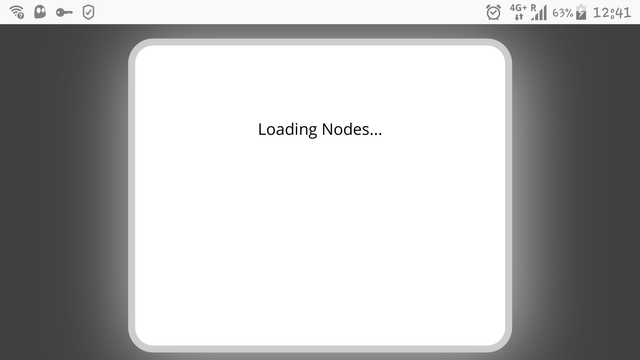 I guess they are testing something with their new nodes structure. Ah, thank you for looking into this. My friends were shocked when they saw that my vote was worth 20 cents, and wondered why they didn't get one too, haha. Now I can send them the detail. Thanks for all your hard work @steemchiller! Always look forward to seeing what new tweaks and updates you have added... what you have created here definitely makes Steem a more enjoyable experience! There's always something that needs attending to, eh, @steemchiller. :) I'd say an A-plus rating is awesome for anything, particularly if it has anything to do with security. As far as the post editor goes, if it's your main mission, I have no doubt it will get done. It's really cool to have these updates, by the way. I know there's a financial side to it, but in a very distant way (meaning, you're doing all the work), the rest of us get a glimpse at the behind the scenes build. For me, at least, it's been very cool to read about week to week. It has become my homepage in steemit. Almost all my interaction in the ecosystem is based on the information you provide. Many thanks for all your work! Hope you do decide to set up a witness; you definitely would have my vote! Thank you for all your good work and persistent effort!! What can we do without you?! 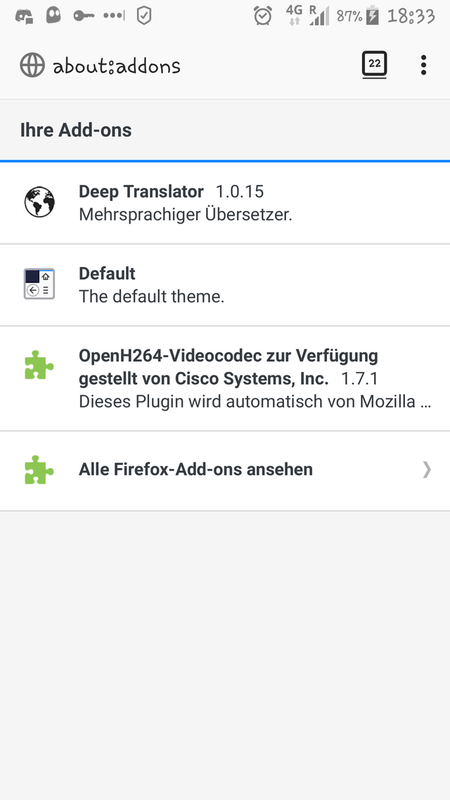 Ich habe es gerade auf verschiedenen Android-Versionen mit FF 65.0.1 getestet und es läuft ohne Probleme bei mir. Hast du irgendwelche Addons installiert, welche die Seite evtl. beim Start manipulieren? Kannst du sonst mal den Cache leeren und die Seite danach neu laden? Cache löschen und auch ein Firefox-Neustart haben nichts geändert. Ich habe den Translator erst deaktiviert und dann deinstalliert, jeweils mit Neustart, hat alles nix gebracht. Die beiden anderen sind systemseitig und nur der Codec ist deaktivierbar, deinstallierbar sind beide nicht. Ich habe die SteemWorld jetzt auf Brave, da läuft sie wunderbar, außer dass Links immer in Partiko geöffnet werden, was ich meistens nicht will, egal was in den Settings eingetragen ist, Partiko ist da ja gar nicht dabei! Partiko ist, soweit ich weiß, ja nur als App verfügbar, daher habe ich von SteemWorld aus keine Möglichkeit, das Öffnen der Links zu steuern. Wahrscheinlich installiert Partiko eine Art 'Hook' im Android-System, um geöffnete Links abzufangen und in der eignenen App zu öffnen. Normalerweise müsste das irgendwo einstellbar sein. Danke für die Infos! Ich habe die Einstellung gerade gefunden, jetzt wird abgefragt, ob Links aus SteemWorld in Partiko oder in Brave geöffnet werden sollen. Ich hoffe das du bald etwas besser von Steem leben kannst. Das es ein bisschen mehr hoch geht... Dank dir. Are you on discord? How do I get in touch with you? Thank you for making such a useful tool. Is steemworld open source? Not yet, but I've planned to make it open source in future. Thanks for your effort and your creativity, mate! Thanks for your vote. Please let me tell you that nobody with a 'comment spam creating @sbi signature' will receive a vote for a comment on my blog. Nobody needs to store daily stats inside the blockchain and it increases the server costs for developers like me without bringing any benefit to my blog. Please think about it. I appreciate your frankness and I understand your point of view very well: auto-comment removed. as you did not wrote a post within the last 7 days, your comments will be upvoted. Value % breakdowns are in beta and some oddities may appear. These % are historical and represent source of vote value pending and already delivered. Recent changes (increase in delegated SP, for example) may take time to noticeably change the % breakdown. This post has been just added as new item to timeline of SteemWorld on Steem Projects. 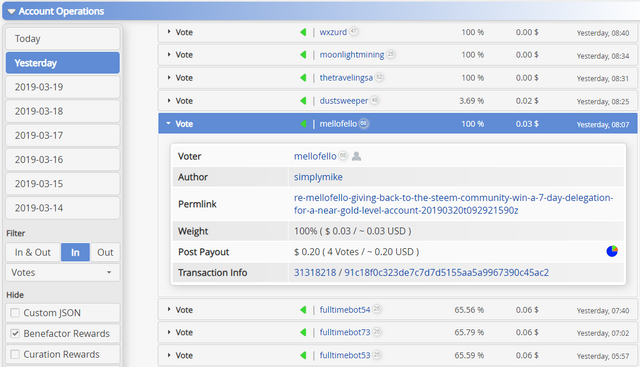 If you want to be notified about new updates from this project, register on Steem Projects and add SteemWorld to your favorite projects. I prefer to come here to learn - where I can also show my gratitude by giving a few votes. Coming to your site would only deprive the support we should be giving to the person who is creating this magical SteemWorld for us. Instead of trying to take away earnings from Creators, why don't you go create something worthy of our votes? I love all you are doing, mate: Thank you very much! Just what I need for hyperdrive... I gotta go get it! I'm glad people like you try to help this community. Thank you very much! I'm glad to support this great tool! Your UA account score is currently 6.252 which ranks you at #235 across all Steem accounts. In our last Algorithmic Curation Round, consisting of 214 contributions, your post is ranked at #6. I can't wait to see the Steem Data Service (SDS) in action! I'm also courious to see the Post Editor... thanks for all your efforts, mate! Gratitude from Thailand, as always, @steemchiller. Great progress as usual! 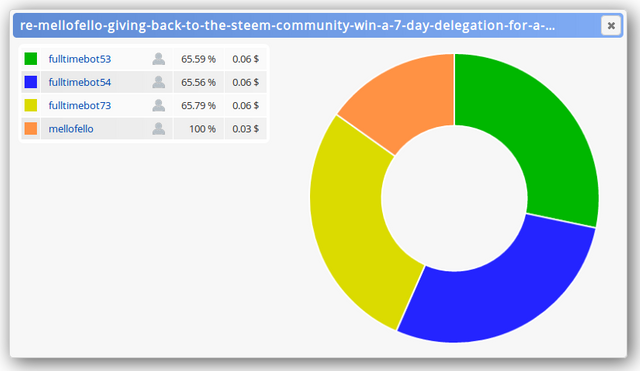 I wonder if you have considered somehow tracking the tokens being created by the Steem Engine project! Thank you very much for your work and contribution to this community. Congratulations! Wenn du dich dafür entscheidest auch ins Witnessbecken zu hüpfen dann bekommst viel support von uns allen =)I understand 95.59% in this post, and if you post more beautifully, we will understand better and we can improve. Thank you for this kind of posting. We want you to be able to improve in one day.